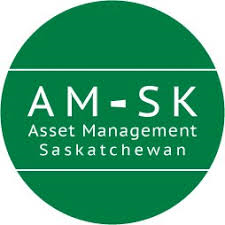 Asset Management Saskatchewan (AM-SK) is Saskatchewan’s first working group dedicated to assisting municipal stakeholders in improving the knowledge and abilities in municipal asset management. The Working Group grew out of a collaborative effort that started in 2006 associated with the implementation of requirements for accounting and reporting on tangible capital assets owned by municipalities and over time has evolved to supporting efforts related to: "training and capacity building related to asset management within municipalities in Saskatchewan”. AM-SK is a formal working group but is not incorporated and therefore is not a legal entity. To date all contributions have been by "volunteers”.